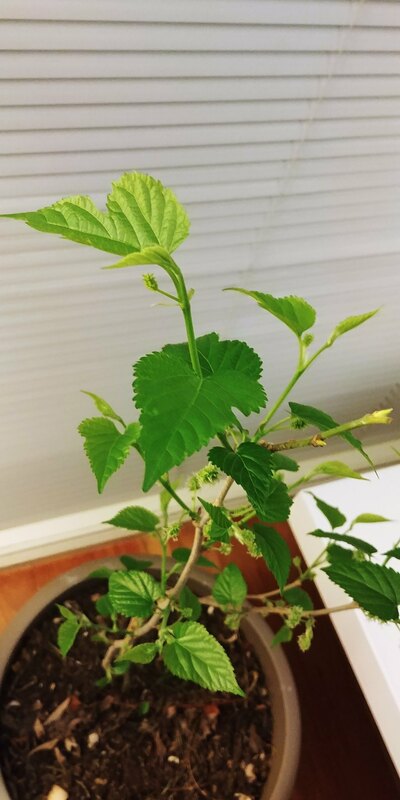 I've been trying to keen a Mulberry tree in a pot for a while and I wanted to document my findings in this thread. Feel free to comment and give me some tips! So here is the picture when I bought it home. Then it shed all it's leaves in preparation for winter. I collected and fed most of the leaves to my shrimp. I got a bit worried about the severe frosts so with advice from the great AnthonyRAE of this forum, I brought the tree inside. Now it seems to be confused about the seasons and have made some flowers I think?? Initially I was going to water it once a fortnight or so but now I have started to fertilise it. 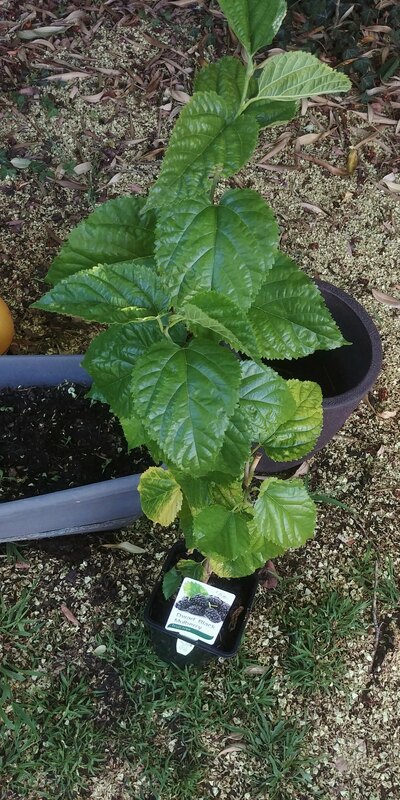 Most of you live in milder climates than me so I would suggest to try to grow some Mulberry in a pot; your shrimp will love you for it. Well your instincts were right on track mate. I'm interested to know how much light it is getting and also the minimum temperature at night. And, BTW.....if you do decide to put down a shadehouse etc, let me know before you spend any money. I have some great tips that don't cost any money from Martin Schotte of Commercial Glasshouses. Last edited by anthonyrae; 24-06-18 at 08:06 PM. The plant is planced next to a North facing window but some wise person has planted a large gum tree on the northern aspect of the house which shades it. This is ironic because despite our house being old, it is oriented correctly to the sun and is the only house that is oriented correctly in our street. I keep the curtains open on the north side. Direct sun is only for a hour or so everyday during winter. Another possible factor is the lights at night which come on at 5pm and continue until 11:45pm quite near the plant. I don't know whether a 20W energy saving bulb is enough to affect the light cycles of plants. The temperature will be between 13 (during day) and 21 (during night). You can imagine my heating bill as the outside temperature last night was -3. This has been a great idea to take the plant inside! I managed to keep the plant continuing to grow through the winter. I may have this plant inside in the long-term depending on how it goes.... It's my first ever successful indoor plant. I have had plenty of leaves for my shrimp through the winter. They absolutely love these leaves. Nothing is left behind regardless of whether it's green raw, blanched, or brown and fallen off the plant. If you keep shrimp and have a spot indoors, I would highly suggest these. Time to start sending Mulberry leaves to forum members bro Haha. You can freeze (and blanch before hand if you want) the leaves and dump them in tanks when needed. This is what i've done in the past as i didnt have a tree and got a big batch from friends. Frozen leaves sink and soften (or start to break down) faster than fresh ones too. So the tree started to falter and drop leaves early Summer so I put it outside. It went through some acclimatisation but has done well so far. I will probably take it inside for this winter as well though. I think it may die if it gets massively frosted. I have had enough leaves to feed all my shrimp etc since I bought the plant. It's well worth it and can double as a nice little plant inside your home! @Indir, About 160cm at the moment. 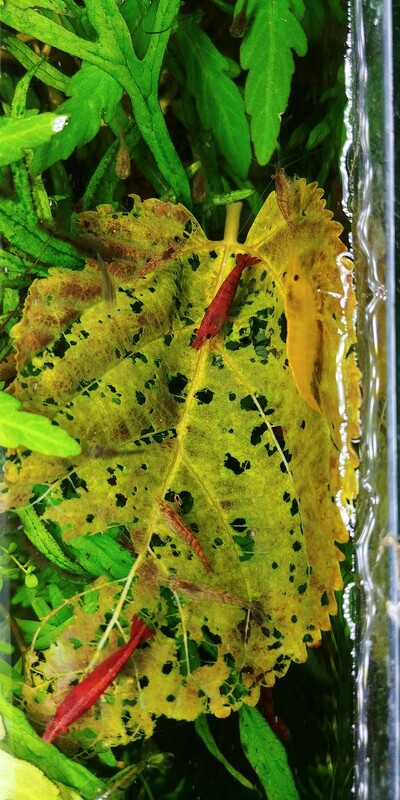 So the shrimp eat fresh Mulberry leaves? You dont need to treat them? Yes. Since my plant sheds leaves often I just pick off the yellowed ones. Fresh is also fine. I dry them. Before autumn comes I pick a laundry basket full and put in the shed and just let them dry. Keep them out of the sun and they stay green and keep for a year or more. 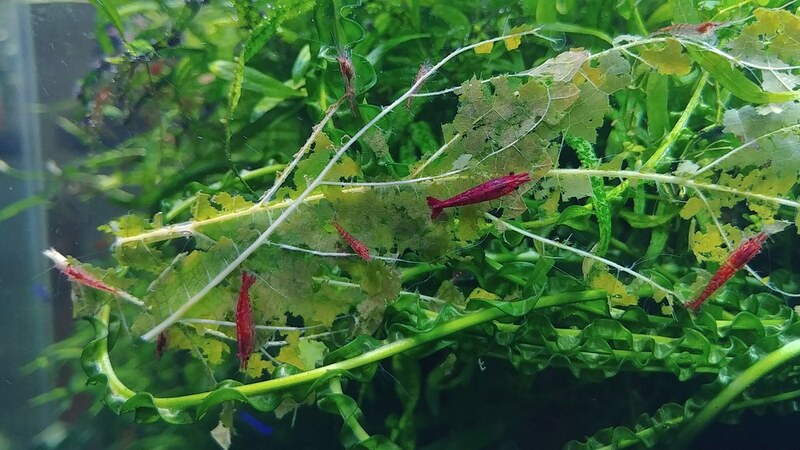 I find the rehydrated leaves are a bit softer and shrimp start eating them in a day. Fresh leaves work also...just take a few days to soften. Last edited by belveder; 25-02-19 at 05:21 AM. Does anyone else have a Dwarf version like I do. Mine says 3m so I hope it stays like that. I don't want a huge tree but will hack it down if needed but hopefully I won't need to. 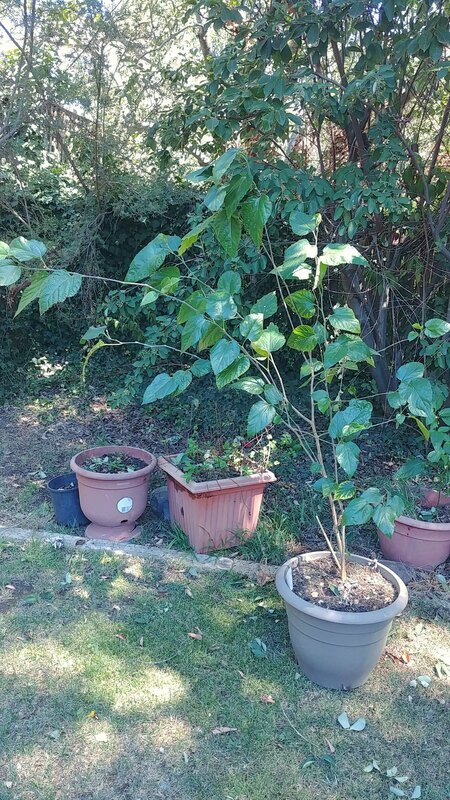 Can you transplant the large woody branches to get more plants? This is how the yellowed (non dried) leaf goes down. Even my endlers eat it but then they are pigs.